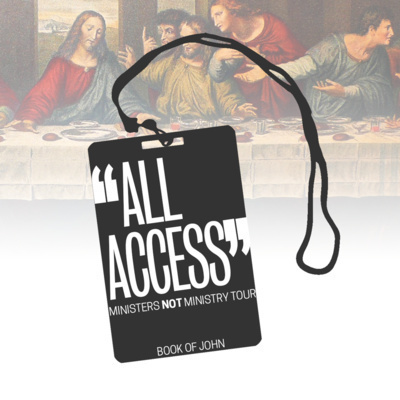 Brandan continues our All Access series in the book of John. Brandan continues our "All Access" series in John 10. Dave takes a look at 1 Peter 1 today and what Peter has to say about faith. Same book of John, new series title, let's get into it. This is our last week in the Follow the Leader series. Be sure to tune in next week as we get a new series title but still stay in the same book of the Bible. Still working our way through the book of John. Brandan continues working his way through the book of John. Brandan continues going through the book of John. Brandan continues our series by continuing in John, this week in chapter 3. We had a snow day last week so be prepared for a longer message, lol. Brandan continues this week in the book of John, chapter 2. 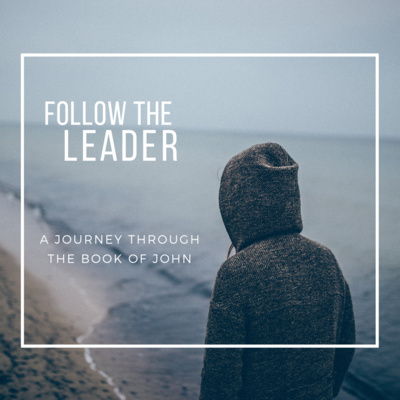 Brandan takes a look at John 1. 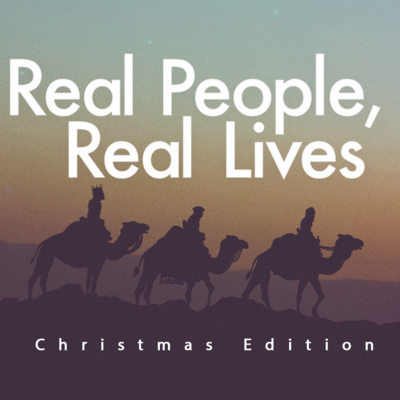 This week Brandan takes a look at who was first invited to the experience the birth of Christ. This week Brandan takes a look at how Mary and Joseph made it to Bethlehem and some of the conversations they had along the way. Brandan kicks off our Christmas series by revisiting a story most of us glance over and shrug our shoulders at, saying "yeah that happened no big deal". Well let us take a moment to listen in and think about the conversations Mary was going to have with her family and husband to be. George took time this morning to remind us what the Church originally focused on. There are multiple practices laid out for us as churches to follow in the New Testament and they don't include having coffee and donuts every Sunday. He also took the time to remind us that Jesus loves us and thinks we are amazing even after all we have done. Brandan continues our JONSES series by looking what Jesus had to say about the meek, the mourning, and the ones wanting righteousness. Brandan goes back to the sermon on the mount to look at who Jesus said was blessed. Was it the rich, the poor, the smart, the outcasts, or the religious? Listen in and find out. 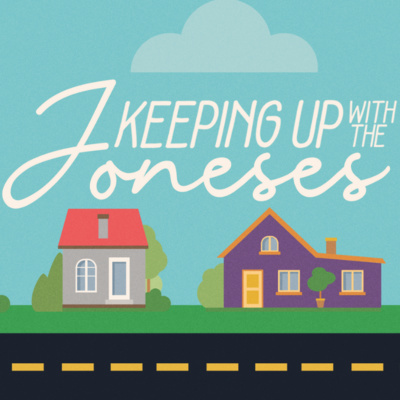 Today Brandan kicks off our new series Keeping UP with the JONESES by looking at Matthew 5-7. Where Jesus explains to the least of these they are the ones who will inherit the kingdom of God. 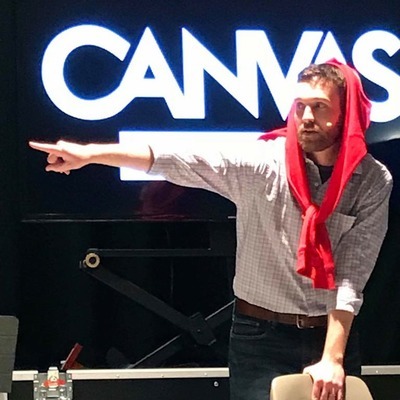 Brandan continues the fundamentals series this week, he also took time out in service to pray for families within Canvas. Brandan continues the Fundamentals series by taking a look at how we can not only sin, but we can also sin by our incorrect view of sin. 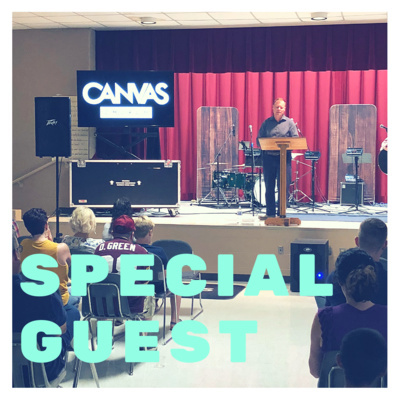 This week we were blessed to have former Canvas Rockstar or the Year recipient Dave Ballinger. He took a look at how Jesus interacted with the ever law abiding Pharisees on a couple of occasions. 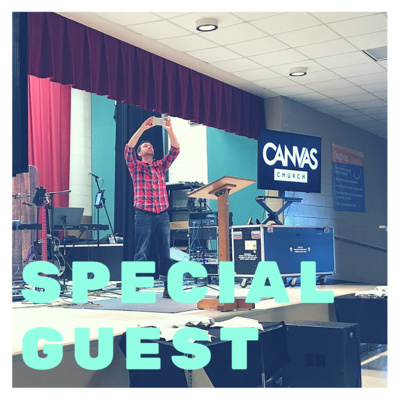 This week we had a special guest Jordan Butler from Connections Community Church in Inwood, West Virginia. He spoke on the importance of John 5. How we as christians have a tendency to forget we have been healed from our sin, yet continue to go back to it. Even still Jesus shows compassion. 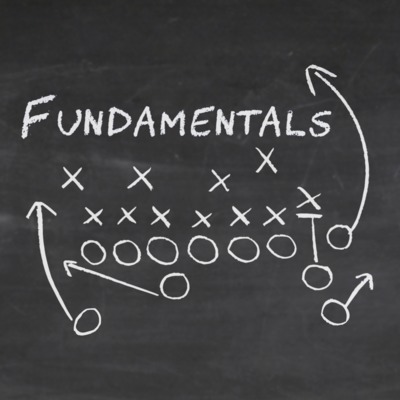 This week Brandan is back at it with our fundamental series. He looks to examine the importance of us as humans finding our identity in the image of God. This is the second instalement of our Fundamentals Series. This week Brandan looks at how our God speaks to us through general and special revelation. He also asked the question is scripture really all that important. So listen in and find out. 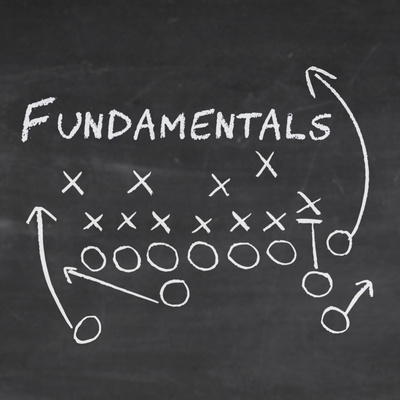 This is the first week of our new series called Fundamentals. Brandan looks at the complex structure of 1 God in Father, Jesus, and Holy Spirit. Brandan continues his Rooted series this week, this week he looks at patience, kindness, and goodness. So listen in an learn up. This week Brandan continued his talk on the FRUIT of the spirit, today he focused on love, joy, and peace. He also went into a number of ways to check and see if our roots are growning in Christ. 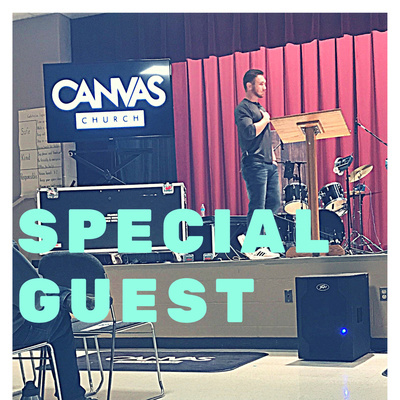 This week we had the privilage of hearing from Mark DeYmaz, the founder of Mosaic Church of Central Arkansas. Through using theology as the why behind the need for today's churches to be more multiethinic Mark explains the need for churches to look more like heaven (John 17). 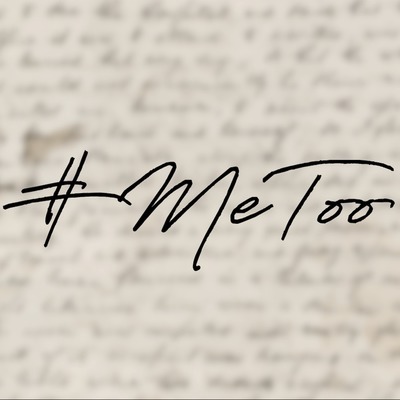 This week we continued our #MeToo series, in part 2 Brandan looks at how through out our lives we have been making decisions based on who others have told us we are. But shouldn't we be looking to the One who created us to inform who we are? As a church with real people with real lives learning to follow Jesus, we take this time of year to call on those who call Canvas Church home to share intimate stories from their life. This is for the purpose of showing others you are not alone, others have shared this similar struggle, event, loss, abuse. We thank those who have had the courage in the past and the upcoming weeks for sharing these stories. Brandan walks us through a couple passages in 1 Corinthians to remind us as believers we have all been given gifts and not for our own personal gain but these gifts are for helping others. This week Brandan looks at Genesis 3:1-13 and explores the topic of shame. Reminding us God's love doesn't change based on our actions, we are loved no matter the mistakes we have made. Brandan walks us through how we are the vine and there are times in our life where God chooses to prune us. Not because its easy or it feels good, but because it is good for us. Brandan talks through some of the prunings of his past to show there are blessings when we are pruned. Listen in as George explains how Disney may offer happiness and joy for a couple days, but then it ends. In Philippians, we find a joy that is everlasting, no castle required. To pray or not to pray, if God has already planned out the fate of the world what good is it for me to pray? Brandan explores the prayer paradox by looking at both old and new testament scripture, so listen in and see what he has learned this week. As parents, we have a responsibility to teach our children a number of lessons but the most important of all is pointing them to Christ. This is not as simple as "do as I say not as I do" our kids are smarter than that, we have to live a life pointing to Christ or they will likely go their own when they are older. Listen in as Brandan talks about a topic people love to give advice on but never happily accept, PARENTING... Dun dun dun... Brandan reminds us our identity must be found in Christ and not in the success/failure of our children, spouse, job etc. Also we due to technical difficulties we do not have the last 5 min of Brandan's message, but don't worry all the good stuff as at the beginning. Listen in as Brandan is back this week as he continues to examine what it takes to get from "here" to "there". Join us in welcoming Dorian Baker from Life Ticket Church in Herndon, Va as he speaks to how we have received the tools and techniques to wrestle with the powers of darkness. Brandan continues using his "Here 2 There" chair analogy, and reminds us as we start to take make changes in our lives everything will likely fall apart, but the end result is worth the struggle and pain. 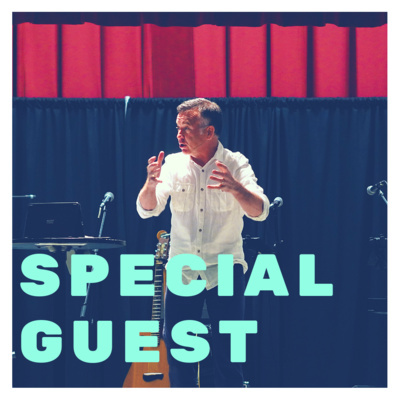 Listen in this week as special guest Jon Holland looks at how our praise has a greater purpose and impact that affects not only us but those around us.